Most poached pear recipes rely on Bosc pears, but this recipe calls for Bartletts, which many consider to have the ‘classic’ pear flavor. That juicy and distinct pear flavor is only enhanced by this recipe’s poaching liquid, which consists of a tropically-flavored white wine, hibiscus flower tea, orange slices, and whole vanilla bean. The pears take on a lovely, light pink hue while bathing in the liquid, which reduces to a deliciously sweet and wonderfully unique sauce for serving. 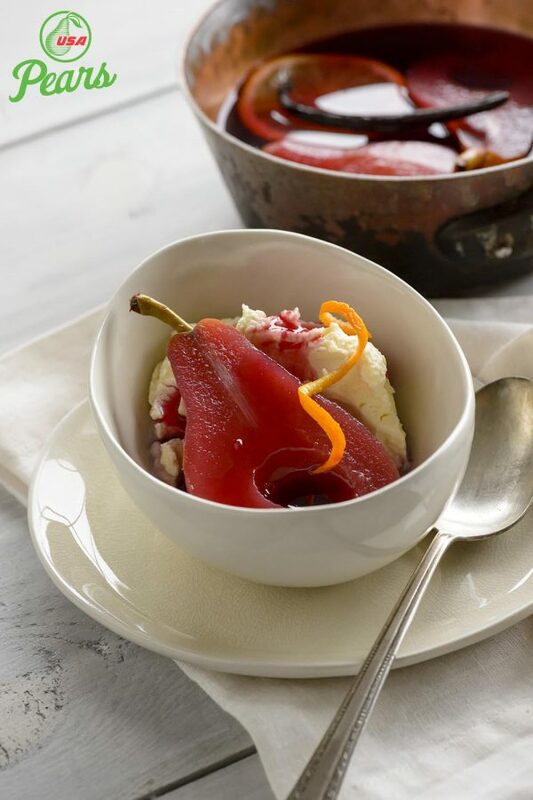 Poached pears are not just a cool season dessert! Try this recipe for poaching pears in the spring or summer. Pour the wine into a saucepan with a lid and heat until just steaming. Turn off the heat and add the tea bags. Allow to steep for 10 minutes and remove. Stir in the sugar, orange slices, and vanilla bean scrapings along with the vanilla pods. Prepare the pears by peeling, halving, and scooping out the cores with a melon baller. Place the pear halves into the liquid, being sure they are fully submerged. Place the pot over medium heat, cover, and bring to a simmer. 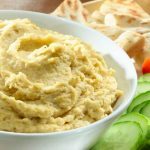 Once simmering, reduce the heat to low, cover, and cook until the pears are just tender when pierced with a fork, about 12-15 minutes. Check on the pears occasionally to be sure they are submerged, turning if necessary. Once tender, remove the pears from the liquid and set aside to cool slightly. Increase the heat to high and bring the sauce to a boil. Cook for 10-15 minutes, or until the sauce is slightly thickened and tastes concentrated and delicious. Serve the pear halves topped with several spoonfuls of the sauce. 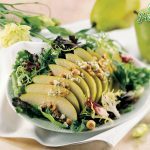 This recipe is provided thanks to USA Pears.